Automation Motorized blinds combine natural beauty with enhanced functionality and offer the ideal solution to control natural light. Whether you simply wish to raise and lower blinds or need precise tilting control of blind slats, has a solution to make it effortless. Motorized blinds create living environments that are comfortable, energy efficient and add an element of convenience and luxury to any interior space. 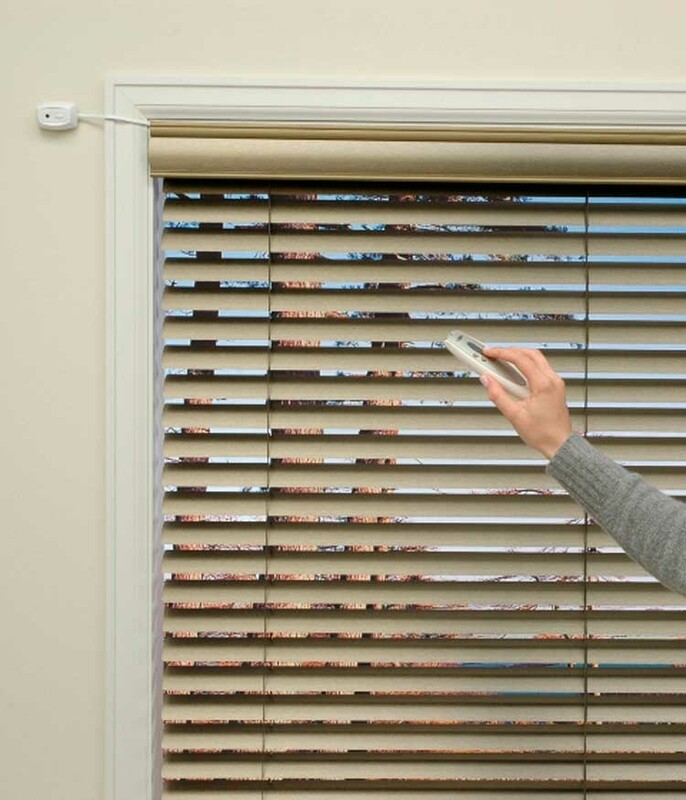 Motorized blinds take all of the benefits of traditional blinds to the next level. 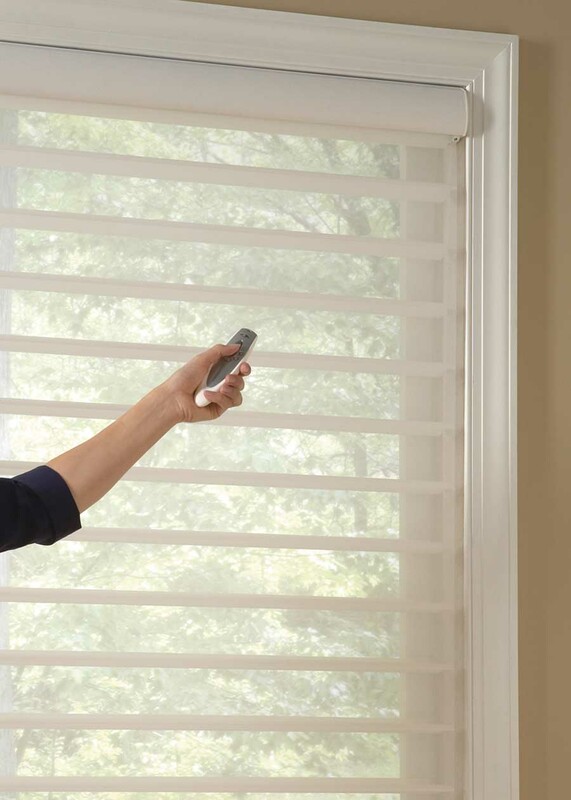 You no longer have to spend your time adjusting heavy blinds or reach over furniture to eliminate glare, simply press a button or create a schedule so that motorized blinds operate automatically. 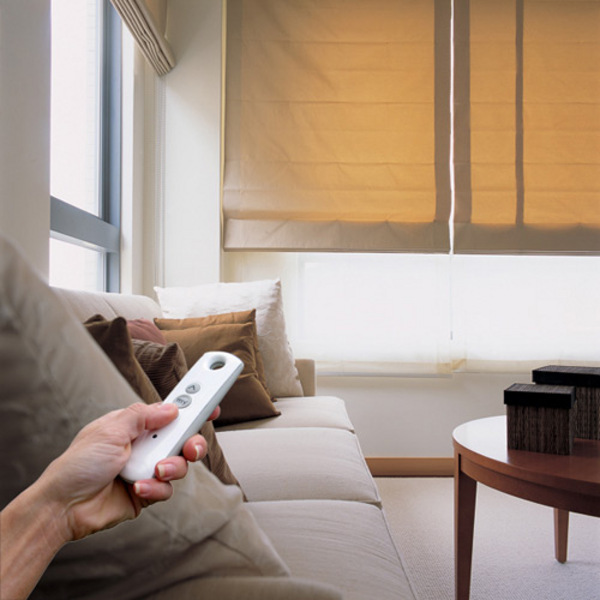 The motorized blinds are custom-made according to your requirement. Easy to operate, makes it more comfortible and it can be operated using a switch, remote or through a touch panel. 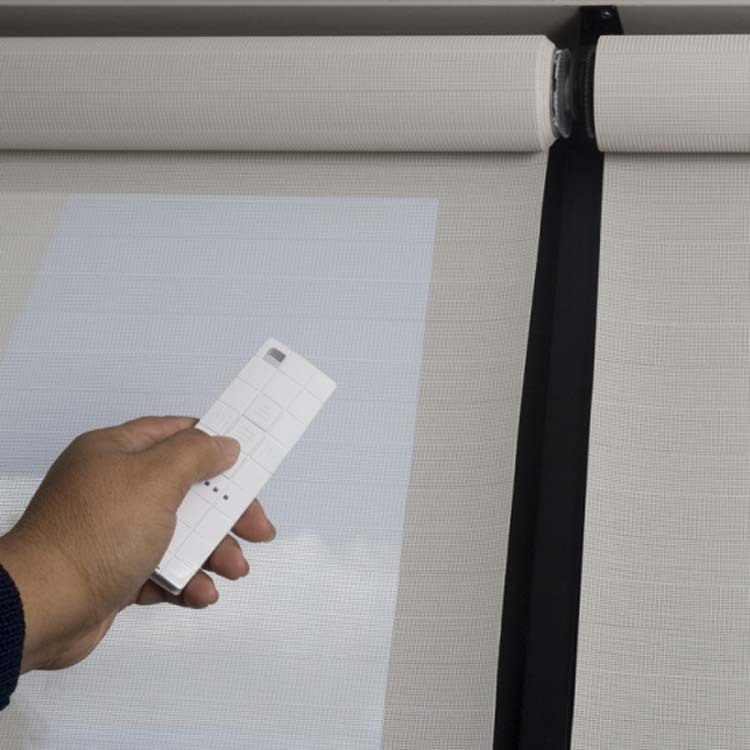 The screen fabric can be either "black-out" to darken the room completely or "semi-transparent" to reduce the glare and heat of the sunlight, but which allows some light inside the room.